Packs of 20 available here. 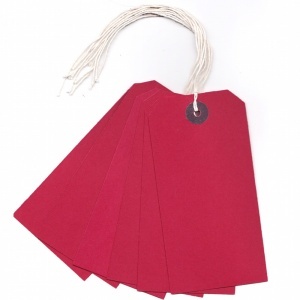 Red strung tags with reinforced eyelets for extra strength and durability. Already threaded with white String. Colour - Red. Size 120 x 60mm. Comes in packs of 50 and 100. Packs of 20 are available here.